Listen – I get it. As covered on this very site, the announcement of a FF7 remake is huge news for gamers all over the world. It’s been something we’ve fantasized about for years, and it seems Square Enix has finally heard us. Even with no release date in sight, no official screenshots or in-game footage, the hype train is rolling in full force now. We’re all dying to see just a glimmer of this future project in action – even if it’s just so we can manage our own expectations about the thing. This might be a highly unpopular opinion to take, but hear me out: what’s wrong with the original game? 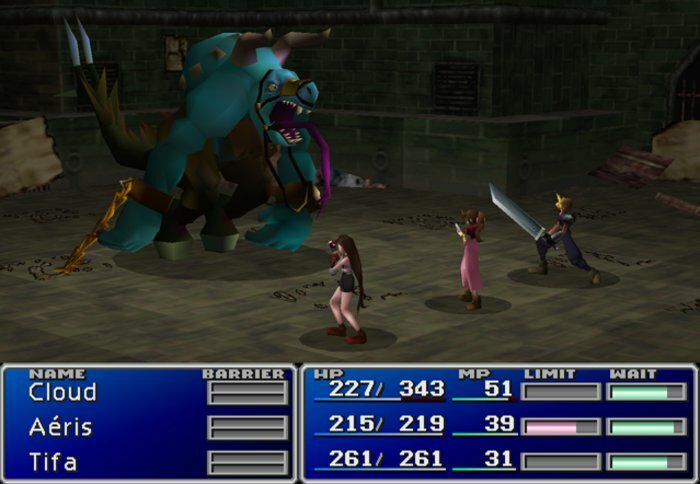 Why are we all going along with the idea that a modernized version of Final Fantasy 7 is assured to be better? Are things like photorealistic graphics and modernized gameplay really more important to us than the purity and dare I say quaintness of the original? What’s wrong with just replaying the ’97 version, or any of its various ports? 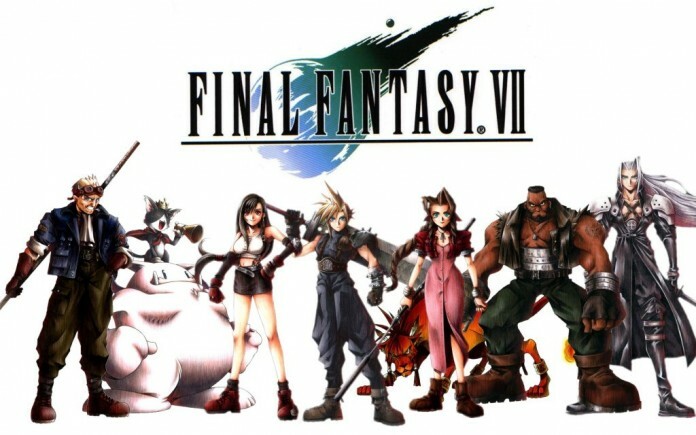 Tetsuya Nomura recently told Famitsu that “if you look at [the original FF7] today, you can feel how dated the graphics and game system are.” Is that really true? Aren’t the chibi-style character models part of what make the game charming? How about the way the game uses meticulously drawn 2D backdrops? The original FF7 does a lot with a little, and that’s part of what makes it stand the test of time. Think about the original Star Wars trilogy. We were told similar things about that classic set of films: particularly that they were too dated looking. That technology had finally advanced to give us the definitive edition of Episodes 4,5, and 6. And then what did we get? An overwrought, undercooked mess that replaced most of the puppets and practical special effects with boring CGI. Is there anyone who really wants to claim this improved the Star Wars series? When you sit back and consider all the new content that’s inevitably being shoved into this remake: voice acting, probably a new 3D style camera mechanic, changes to the plot, and (knowing Square) huge over the top cutscenes – all of them have the potential to go sour. Just think about Midgar, the city the game takes place in for the first 5 or so hours – they’re going to have to add quite a lot to that part of the game to flesh it out, to make it believable as the ‘huge metropolis’ it’s supposed to be. The same goes for nearly every area in the game: to make a current gen, photorealistic FF7 believable, they are going to have to add an insane amount of new content. And the more new content that gets shoehorned in here, the further and further the remake departs from the original and into uncharted waters. Which, y’know, isn’t necessarily bad: but it is going to open up more opportunities for this game to become just another modern, sub-par RPG from Square Enix. I will admit that what we saw in the teaser was impressive. The Mako reactor looks true to the feel of the original while also looking bigger, more detailed, and more interesting to explore. The glimpses we got of the Midgar train system and slums also looked reasonably true to the ’97 version. These are all good signs. But they’re still merely scenes from a prerendered trailer. How is actually walking around Midgar, or the Sector 7 Slums, going to feel? The main thing I worry about, again, is scale. All the areas in FF7 were scaled to the size of the chibi-size characters, which means they could get away with making towns and cities more compact. Think about something as minor in FF7 as North Corel, Barrett’s former home. In the PSX version, this town was literally one area full of debris. Imagine how much content they’ll have to add to really sell North Corel, as just one example, as the ruins of a former bustling mining outpost. Extrapolate this realization to every area in the game, and you’l start to get why I don’t think a remake is the best idea. It’s simply going to change so much about what worked in FF7 as to render the game unrecognizable. And at that point, why even call the game FF7 anymore? Why not make this fancy new-gen game an FF7 sequel, or prequel? The answer is obvious: that sweet, sweet gil. It’s safer to bank on a title everybody already ‘loves’ rather than work hard at something original. And that’s what bothers me most about the remake announcement: FF7 was made when Squaresoft, as a company, was at its most innovative. Its most forward thinking. Now contrast that with modern-day Square Enix; all they ever seem to do is dredge up stuff from the past. It’s no secret the company – at least in terms of JRPGs – peaked with their classic ’97-’02 lineup of games. As the fact of this very remake should tell you, this isn’t a company that is very confident in itself any longer. As for the so-called ‘datedness’ of the original: I, for one, like the dollhouse-like quality to the PSX version’s area design. I actually like the immobile camera, because it allowed for those beautiful 2D backdrops. I like the lack of voice actors – that’s what drove Uyematsu to write such compelling songs, isn’t it? To make up for the lack of spoken dialogue? It’s like the story is almost being told through the music: add something as small as voice acting to this, and the effect is lost. Take these things away, and for my money, you don’t have Final Fantasy 7 anymore. I actually like the restraint that the PS1’s hardware imposed upon the original game. It’s what gave the game it’s trademark combo of cuteness and darkness: the skies were brightly colored, the songs often wistful, but underneath that you had truly dark moments like Sephiroth’s backstory or even mystical moments like the Lifestream parts of the game. Even from a modern perspective, all of this is part of what makes Final Fantasy 7 so impressive: that it tells a tale of such huge emotional import through such seemingly primitive means. Just think of those red-tinged skies hanging over the Cosmo Canyon observatory. The city of Nibelheim, drenched in flames. Think of the first time you saw the Gold Saucer, or visited the Temple of the Ancients. These images are so iconic as to be immortal. All these contrasting scenes and emotions fit together beautifully well in the original – can they really pull off such an impressive feat twice? I doubt it – especially since modern Square Enix aren’t exactly known for the subtlety. And even if they manage to come up with something half-way decent, I’d say it’s impossible to ‘one-up’ their best game. They’ve been trying to do so for over a decade, for pete’s sake! Considering they haven’t made an RPG with the quality of FF7 since the early-to-mid 2000s, I don’t have the highest hopes for this. And just because they reuse the same basic plot, characters, and areas, doesn’t make this automatically as good as, or even comparable with, the ’97 release. 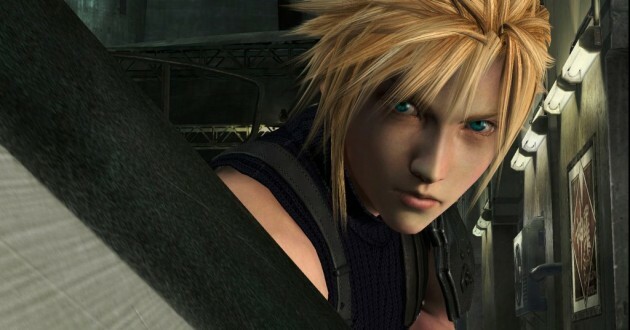 Let’s face it: Square Enix is remaking FF7 because they’ve lost their reputation for making excellent JRPGs. Sure, FF XIV was good for an MMO. Lightning Returns wasn’t completely horrible. 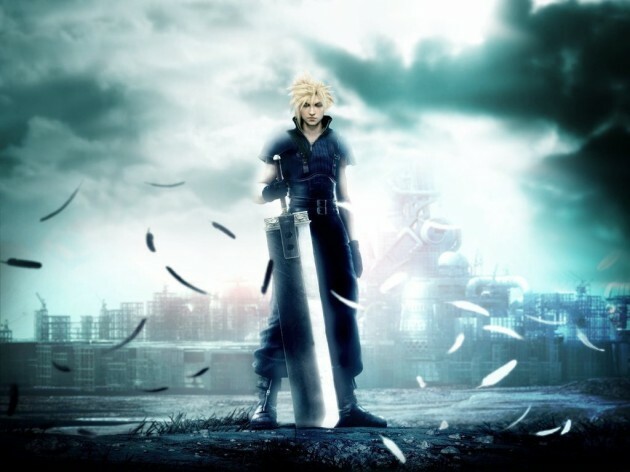 But when was the last time they made a good old fashioned Squaresoft-style RPG like FF7 needs to be? Let alone a great JRPG at all? I loved FFXII (2006), but I notice it’s not as popular as some of their other games. So to be conservative, let’s just say their last critical and commercial blockbuster RPG was Final Fantasy X. That came out ages ago! Since they really haven’t done much better than that since, it’s hard not to conclude that Square Enix has lost its mojo in the RPG department. How exactly has them announcing an FF7 remake changed any of this? All of these factors indicate that Square Enix are going to try their hardest to please everyone with this remake. And as we all know, that’s just impossible. The idea of Square remaking that classic with a sky-high budget and a burning desire to please everyone makes me very, very nervous. I’m not saying the game can’t possibly be great, or even better than the original: only that, whatever it looks like, it will most certainly be different from the original. And that’s what fans who are so excited for this remake maybe need to remember – it’s going to be a completely different game! So I ask: why not just replay the original? Or better yet, replay the original with the ‘Beacause’ translation mod, the Anxious Hearts music mod, and a handful of HD-upscaling/ UI mods for good measure? We already have the means to play a slightly modified, updated version of the 1997 classic. Why give Square Enix a chance to screw things up, or to make a ton of money by cashing in on our nostalgia with a subpar product? Remember when Square Enix repeatedly said they would never do a FF7 remake until they made a game that was better? Yeah, that never happened. So now it seems Square Enix is making FF7 as an act of desperation, rather than because such a thing truly needs to exist. I’m going to reserve my judgement for whenever they finally unveil the gameplay itself – but until that day, I don’t see myself getting too hyped up for this remake. And if I start to feel that old nostalgia calling me, I have no bones with playing the original masterpiece…as it was intended to be played.